7 minutes to Downtown Charleston, this home is perfectly located to enjoy all of Charleston's charms but maintaining privacy & tranquility behind your gates. MLS#19011635. Daniel Ravenel Sotheby'S International Realty. South Windermere - The bright, gourmet kitchen features new windows and MLS#19011701. Keller Williams Realty Charleston. West Side - All siding is hardiplank for low maintenance. MLS#19011705. Carolina One Real Estate. Forest Lakes - Enjoy access to your backyard off the kitchen to enjoy grilling, MLS#19011677. Deseta Realty Group Llc. Stonefield - This is an ideal spot to unwind after a long day overlooking the large fenced yard, and perfect for entertaining and hosting summer barbecues! MLS#19011700. Matt O'Neill Real Estate. The home is just minutes from Folly Beach and the James Island County Park! MLS#19011706. Sloane Realty. Renovations include: upgraded electrical; new HVAC; new attic insulation/heat barrier; added bathroom; new metal roof; new subfloor and plank flooring; vapor barrier in crawl space; new water line; new roof, doors, siding on detached garage. MLS#19011740. Kay Real Estate Group, Llc. 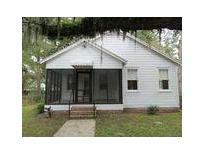 Farmington - Property is close to shopping, downtown Charleston, and Folly Beach! ! MLS#19011704. Sloane Realty. Pinecrest Gardens - Covered front porch and screened rear porch offer quiet places to relax, a fully fenced yard lets pets roam free and safe, a shed to keep your tools in, and a carport for your car. MLS#19011741. Ebb & Flow Real Estate, Llc. Hemmingwood - Agent nor owner have ever occupied the property and do not warrant any information obtained. Please have clients verify. MLS#19011669. Re/Max Pro Realty. Beautiful dark wood cabinetry adorns the kitchen.The lot is easy to maintain.Final touches are currently underway with the builder and professional photos will be available and uploaded upon completion.All showings must be requested with listing agent in advance. MLS#19011729. Realty One Group Coastal. Harleston Village - The upper level has an entrance hall, formal living and dining rooms, a full kitchen, two bedrooms and two full baths plus a rear deck. MLS#19011569. Carolina One Real Estate. Elliottborough - Dont miss out on this fabulous locatin. MLS#19011591. Belser Thompson Real Estate. Willow Walk - Owner is finishing upgrading kitchen cabinets (pictures reflect the original cabinets). Motivated Sellers! MLS#19011616. Coldwell Banker Residential Brokerage.